Here is a short story that Yankees fans will appreciate. The other night I was watching Turner Classic Movies and they were featuring 31 days of Oscar. 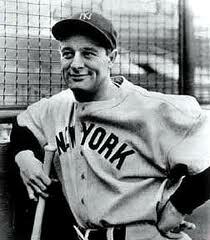 As I was watching Gary Cooper in The Pride of the Yankees I was reminded of a long ago conversation with George. First, let me tell you, George loved sports. He especially liked track and field. George had once told me that his father Henry Steinbrenner II was a championship hurdler at MIT. To his father’s delight, George became an accomplished hurdler on the varsity track and field team for Williams College. George also played halfback for their football team in his senior year and after injuring his shoulder was relegated to punting. Although I never met Harrison, we did attend the same college. 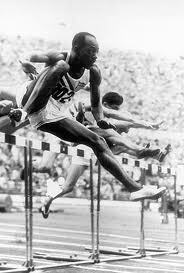 Everyone at Baldwin-Wallace was so proud of him when he won his gold medals in the 1948 and 1952 Olympics. I had heard in later years that George hired Harrison to be the training coach for the Yankees. It’s admirable to know that fierce competitors can become good friends. Well, back to my story. George once confided in me that one of his favorite all time movies was The Pride of the Yankees. I hadn’t seen the movie so George went into considerable detail explaining how it was based on the real life story of Lou Gehrig. Little did I know that George would soon become the proud caretaker of such an illustrious organization so rich in it’s history of honorable men.